Sivota (Syvota). 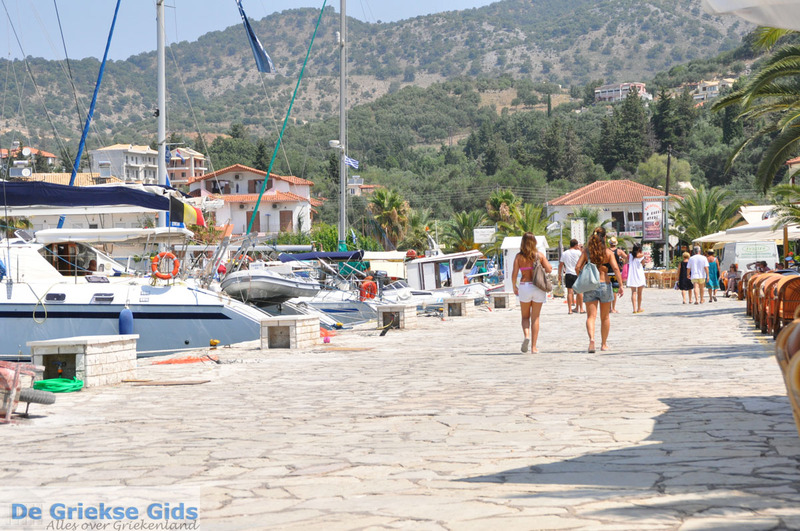 Sivota (1000 inhabitants) actually is an old fishing village, a harbour town where many yachts moor. Before, it was a still pretty quiet place, there was not much tourism, but today it is a very busy touristy resort. Sivota is surrounded by hills which are covered with pine, cypress and olive trees. The coast is characterized by rocky coves, beautiful bays with fine and elongated sand / pebble beaches. 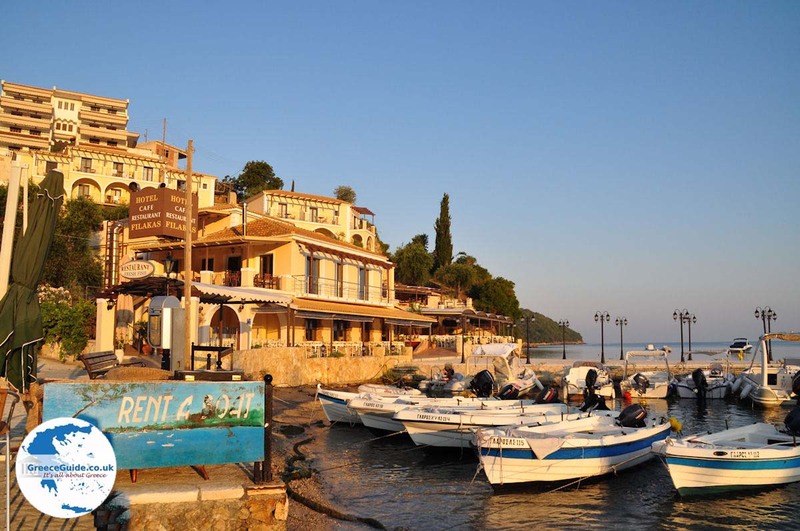 Sivota first was called Volia and Mourtos, since 1950 the name of the village is Sivota. The centre with numerous cafes and restaurants is situated next to the harbour. From the terraces you can watch the lovely sailboats. 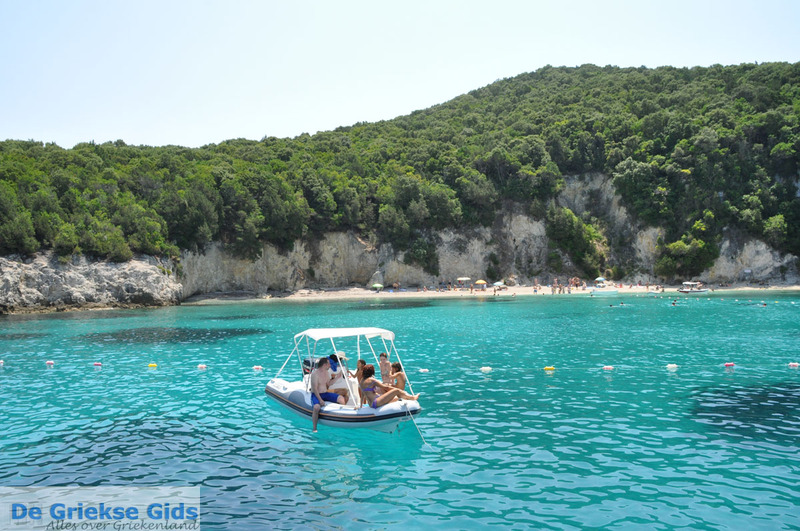 Off the coast of Sivota are three small islands; Mourtemeno, Agios Nikolaos and Bella Vraka. On the main (pebble) beaches: Zavia, Mega Ammos Zeris are sunbeds and umbrellas available for a fee. Beside the harbour is also a beach. In Sivota are a number of tourist shops. 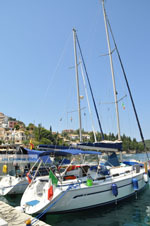 Sivota is a small port which is very popular among sailors. 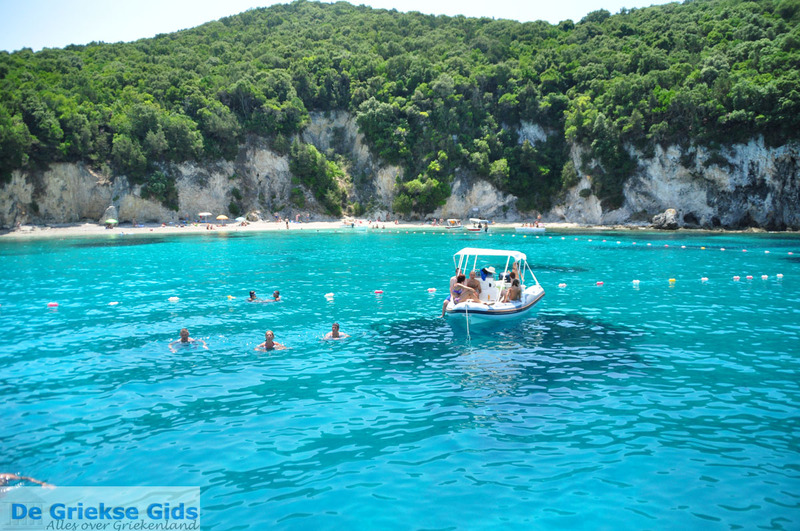 That's because of the convenient location and the short distance to several popular Ionian islands such as Corfu and Lefkada. 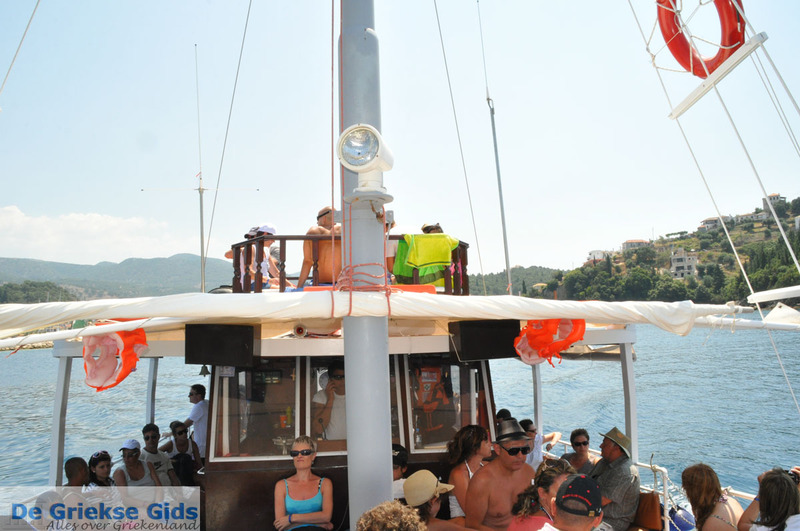 What make Sivota popular is also the short distance to the port of Igoumenitsa (25 km). Many tourists come by boat and car here. Every day in the summer, several boat companies from Venice and Ancona sail to Igoumenitsa, offering perspective for those who do not like flying. Sivota is surrounded by many large and small beaches which are gorgeous (green trees, even on to the beach). The beaches Megali and Mikri Ammos, Pisina, Zavia, Zeri, Megalo Stafo, Perdika, Gallikos Molos are great. Some of these beaches are accessible by foot, others also by car, some however, are only accessible by boat. Beautiful beaches are also on the small islands near the coast. The island Megalo Mourtemeno has a very nice beach (Bella Vraka). This island is with a narrow tongue of sand attached to the mainland, you can get here even on foot. 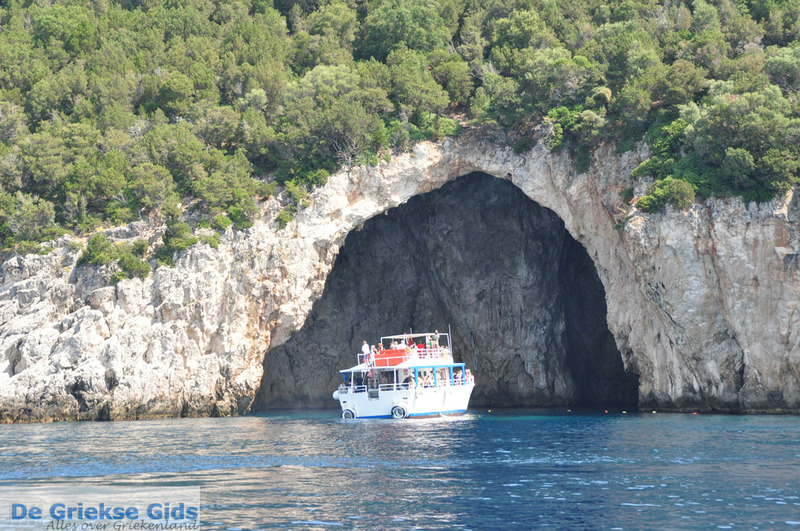 Other nice islets in Sivota are Mavro Oros (visit here the sea cave), Mikro Mourtemeno (here too there is a sea cave) and the islet of Aghios Nikolaos. In this whole region are also several campsites. In the summer, many Italians come here to spend their vacation. Eight kilometres north is the village of Plataria located, where the campsites Elena's Beach and Nautilus are. 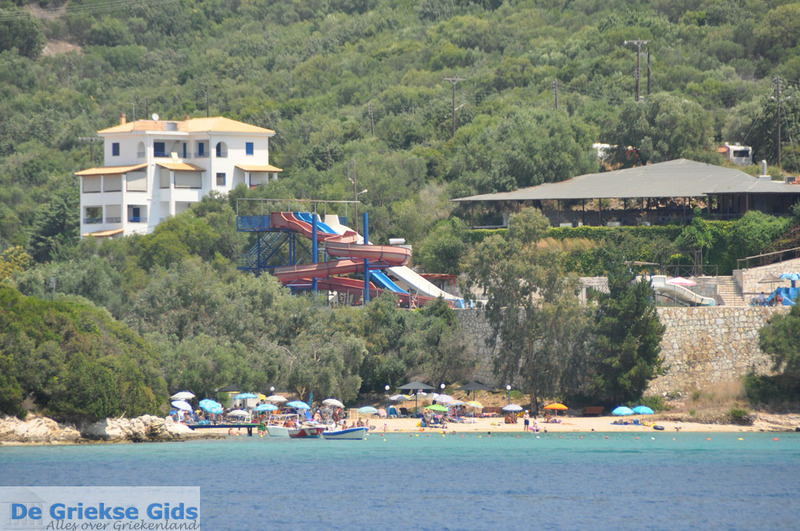 300 meters from Sivota is the homonymous campsite of Sivota located. 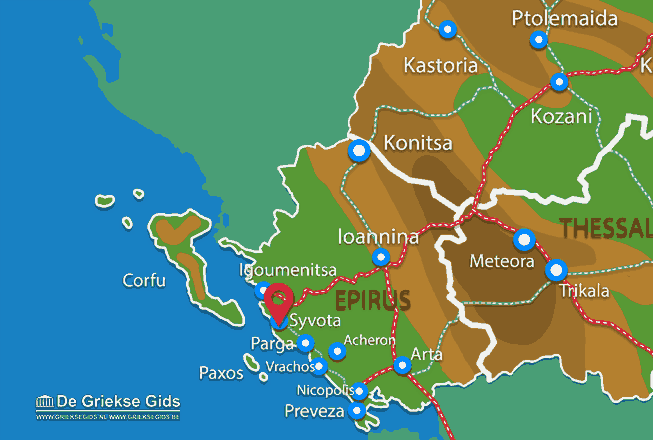 Thesprotia: Where on the map is Sivota located?